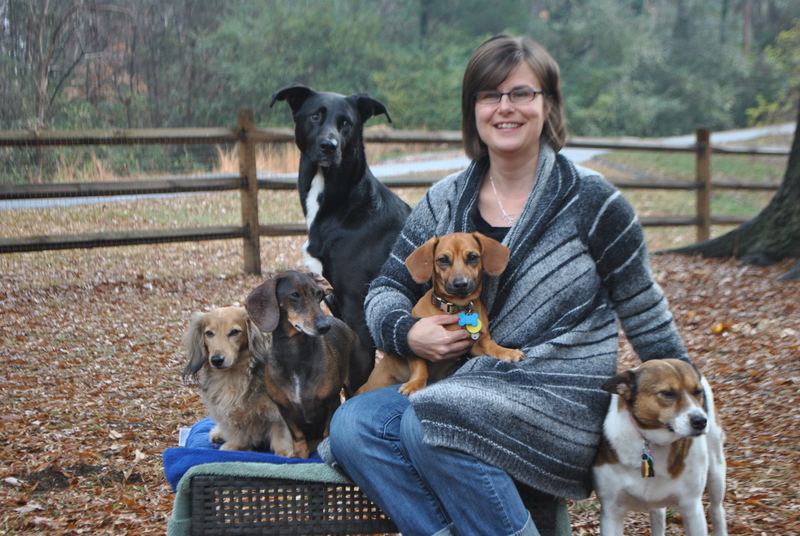 What My Dogs Have Taught Me About Freelancing – Jodi Helmer – Writer. I have five dogs. Too few for a sled dog team but more than enough that my niece has stopped calling me Auntie Jodi and started referring to me as The Crazy Dog Lady. I’ll confess that it’s cliché to talk about “What Dogs Taught Me About…” but I couldn’t resist an excuse to share some dog-related anecdotes. The dogs have taught me a lot about patience, loyalty and the value of a long walk. I’ve also developed an incredible sense of humor and complete inability to feel embarrassed thanks to their antics. (During a trip to Home Depot, Molly, a registered therapy dog, pooped in the paint aisle)! 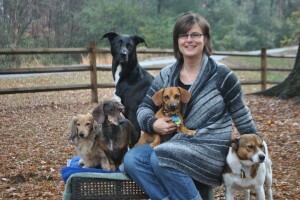 And, of course, the dogs have taught me a lot about freelancing. Trust your gut: Sampson knew he wanted to live with us. He belonged to the neighbors but often escaped from their house and ran straight to our back door, scratching until I let him in. It happened several times (each time, he hung out here for a while and then I walked him back home) until the neighbors asked us if we wanted to give him a permanent home. He’s been here ever since. Dogs are said to be good judges of people and situations, right? I believe that we all have the same gut feelings about, well, everything. A few months ago, a new-to-me editor offered me work. I had a nagging feeling that the assignment was not a good fit; the feeling was so strong that I asked if I could consider the project overnight. Even though something felt off, I accepted. And it was a nightmare. If Sampson was running the business, he would have darted away from that editor and found a new assignment to take its place! Unbridled enthusiasm: I have whooped and hollered and kicked up my heels with glee for lots of reasons but never as often as my dogs. It’s comical to see their reactions when I jingle a leash or open the food cupboard. I may not succumb to the same unabashed glee at the mention of “assignment” as the dogs do at the mention of “walk” but I try. After 12 years of freelancing, I still LOVE my job and I’ve come to understand that pursuing projects I’m really, really excited about is one of the best ways to maintain that feeling of joy that can be forgotten when deadlines are looming. Making time to play: Every day around 3 p.m., Sampson trots into my office with a green ball clutched between his teeth and drops it at my feet. If I ignore him, he picks it up, drops it again and uses his nose to push it toward me. It’s the doggie equivalent of, “I need some fresh air!” He’s too cute to resist so I open the back door and release the hounds. After 30 minutes of playing, I get back to work – and I feel so much better. Cliché? Yes. But oh-so-true. The importance of loyalty: A list about dogs wouldn’t be complete without a nod to their loyalty. Dogs think their owners are rock stars and will go to great lengths to please them. I value the same trait in writer/editor relationships. I’m loyal to regular clients, working overtime to meet tight deadlines or putting in extra effort to source photos or accommodate other requests. Loyalty has helped me develop long-term relationships and develop my freelance business beyond my wildest dreams.